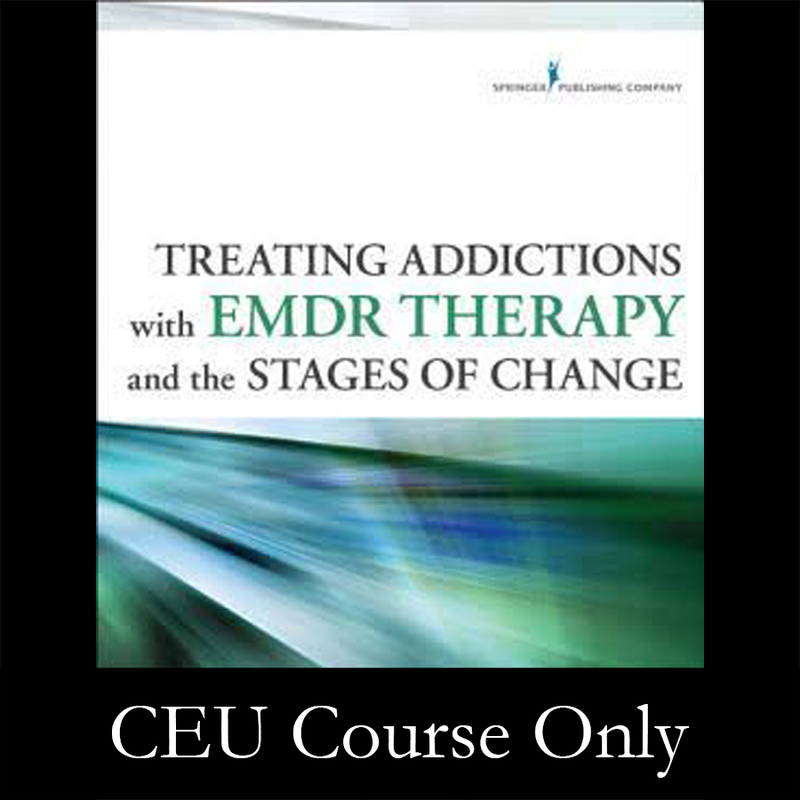 CLICK HERE to order our Home Study Program for CEUs based on Treating Addictions with EMDR Therapy and the Stages of Change. The book addresses the scope of problems relating to addiction and considers the connection between addiction and trauma. Focusing on the use of EMDR therapy in treating addictions, the book also considers traditional models for each stage of treatment so interventions can be individualized according to the needs of each client. Mental health practitioners must be prepared to treat addiction-related issues–affecting up to 50% of mental health clients — whether or not clients present with addiction as a primary concern. This practical roadmap to the treatment of addictions advocates an underutilized–yet highly effective–method of intervention: eye movement desensitization and reprocessing (EMDR) therapy. 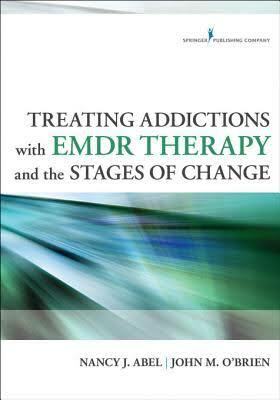 It is the first book to integrate the Stages of Change Model with EMDR’s phases for successful treatment outcome. The authors describe in detail the Transtheoretical Model, tracing its development and theoretical foundations. They discuss each of its stages in depth, presenting and integrating EMDR interventions used by therapists in each stage. The interventions are useful for helping clients at any motivational level. Case vignettes in each chapter illustrate how EMDR techniques are used, and several detailed cases are provided at the end of the book. The appendix features additional resources and EMDR protocols. The text will be useful for therapists currently using EMDR for addiction treatment as well as those using other modalities who are seeking an effective alternative. Nancy Abel, LCSW, LADC, is an experienced mental health and addictions clinician with over 30 years of clinical experience. She has been the Coordinator of Family Services at Day One in Portland, ME, the Director of Substance Abuse Services at Shoreline Community Mental Health Services in Brunswick, ME and taught for over 14 years at the University of Southern Maine as well as in the Addictions Program at the University of New England. She is currently in private practice in South Portland, ME. Nancy is an EMDRIA Certified Therapist and Approved Consultant. John M. O’Brien, Ph.D. received his degree in Counseling Psychology from Michigan State University. He previously worked as a high school guidance counselor and at Spring Harbor Counseling in their Partial Hospital and Outpatient Services. John is currently in full time private practice in Portland, specializing in substance abuse, grief, trauma and gay/lesbian issues. In addition, he teaches courses at the University of Maine at Augusta in psychology and addictions. He is the Past President of the Maine Psychological Association. John is an EMDRIA Certified Therapist and Approved Consultant.